Economic globalization has led to a massive expansion in the scale and power of big business and banking. It has also worsened nearly every problem we face: fundamentalism and ethnic conflict; climate chaos and species extinction; financial instability and unemployment. There are personal costs too. For the majority of people on the planet life is becoming increasingly stressful. We have less time for friends and family and we face mounting pressures at work. The Economics of Happiness describes a world moving simultaneously in two opposing directions. On the one hand, government and big business continue to promote globalization and the consolidation of corporate power. At the same time, all around the world people are resisting those policies, demanding a re-regulation of trade and finance—and, far from the old institutions of power, they're starting to forge a very different future. Communities are coming together to re-build more human scale, ecological economies based on a new paradigm — an economics of localization. 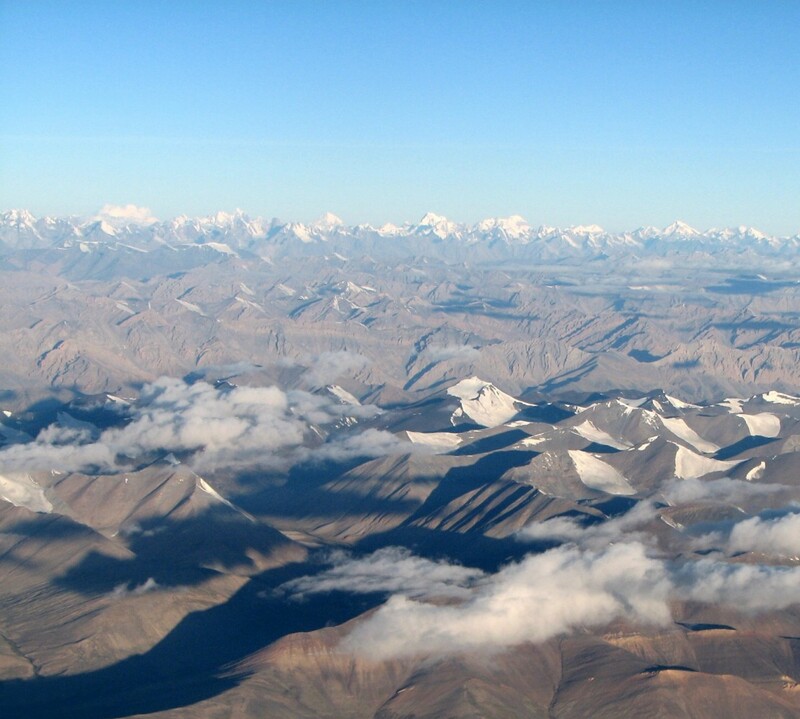 We hear from a chorus of voices from six continents including Vandana Shiva, Bill McKibben, David Korten, Michael Shuman, Juliet Schor, Zac Goldsmith and Samdhong Rinpoche – the Prime Minister of Tibet's government in exile. They tell us that climate change and peak oil give us little choice: we need to localize, to bring the economy home. The good news is that as we move in this direction we will begin not only to heal the earth but also to restore our own sense of well-being. 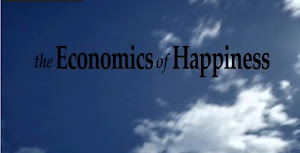 The Economics of Happiness restores our faith in humanity and challenges us to believe that it is possible to build a better world. The balmy islands of Seychelles couldn’t feel farther from Antarctica, but their fossil corals could reveal much about the fate of polar ice sheets. About 125,000 years ago, the average global temperature was only slightly warmer, but sea levels rose high enough to submerge the locations of many of today’s coastal cities. Understanding what caused seas to rise then could shed light on how to protect those cities today. By examining fossil corals found on the Indian Ocean islands, University of Florida geochemist Andrea Dutton found evidence that global mean sea level during that period peaked at 20 to 30 feet above current levels. Dutton’s team of international researchers concluded that rapid retreat of an unstable part of the Antarctic ice sheet was a major contributor to that sea-level rise. “This occurred during a time when the average global temperature was only slightly warmer than at present,” Dutton said. 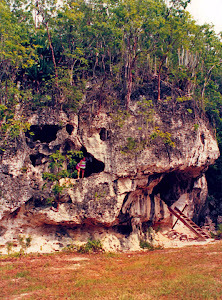 Dutton evaluated fossil corals in Seychelles because sea level in that region closely matches that of global mean sea level. Local patterns of sea-level change can differ from global trends because of variations in Earth’s surface and gravity fields that occur when ice sheets grow and shrink. In an article published in the January 2015 issue of Quaternary Science Reviews, the researchers concluded that while sea-level rise in the Last Interglacial period was driven by the same processes active today — thermal expansion of seawater, melting mountain glaciers and melting polar ice sheets in Greenland and Antarctica — most was driven by polar ice sheet melt. Their study, partially funded by the National Science Foundation, also suggests the Antarctic ice sheet partially collapsed early in that period. Several recent studies by other researchers suggest that process may have already started. 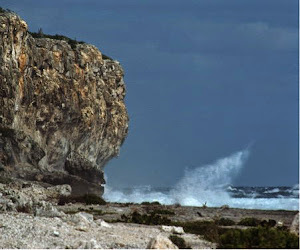 Photos above from Cayman Brac, Cayman Islands. Published on Nov 19, 201 3 • Produced by the International Geosphere-Biosphere Programme and Globaia and funded by the UN Foundation. The data visualization summarises and visualizes several of the most significant statements in the Intergovernmental Panel on Climate Change’s (IPCC) recent Fifth Assessment Report, (Working Group I summary for policymakers, the Physical Science Basis). In 2014, IPCC will publish summaries concerning societal impacts, mitigation and adaptation. The statements and facts presented are derived from the IPCC summary for policymakers. 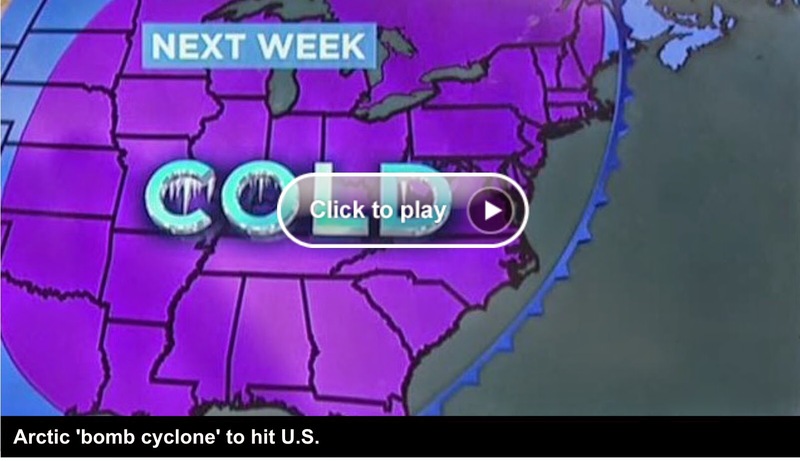 (CNN) — The ice man cometh. And does so early this year, after a former Pacific typhoon flew up toward the Arctic and rammed the jet stream. The stream has whipped south, dragging down frigid air from Canada over the northern Plains and Mountain States and the Upper Midwest, according to the National Weather Service. It is already plunging temperatures below freezing there and will hammer them into the teens and single digits in many places by midweek, even lower in others. Great Falls, Montana, will shiver at 9 below zero on Tuesday night. It’s the coldest weather of the season, the weather service said. Minneapolis could soon get a foot of snow, the service said, with the Minnesota city experiencing below-freezing temperatures that could last for eight days. The snap is forecast to lay down the first broad layer of wintry snow, flurries, sleet or ice — long before winter starts — from Montana down to Nebraska and over to Wisconsin. It will accumulate in inches in the northern Rockies, northern Plains and Great Lakes. 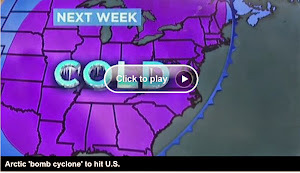 People farther south will also shiver. “Much of the nation east of the Rockies is expected to see a major pattern change by the beginning of the work week,” the weather service said. The western Dakotas are also forecast to get significant snow. Lows will drop to freezing in Kansas City late Monday, then into the 20s a night later. The snap will stop short, leaving much of the Deep South and Southwest in a fall-like warm zone. Rain is expected to hit Chicago and Milwaukee on Monday and Tuesday, with a few snowflakes mixed in, according to the service on Sunday afternoon. Residents in the northern United States can thank a whopping tropical cyclone in the Pacific Ocean for the wintry blast. The remnants of super Typhoon Nuri rolled up north over Alaska’s Aleutian Islands on Friday, kicking off the ripple of Arctic air in the other direction. Nuri is now the strongest known Northern Pacific cyclone on record, according to the National Weather Service Ocean Prediction Center. 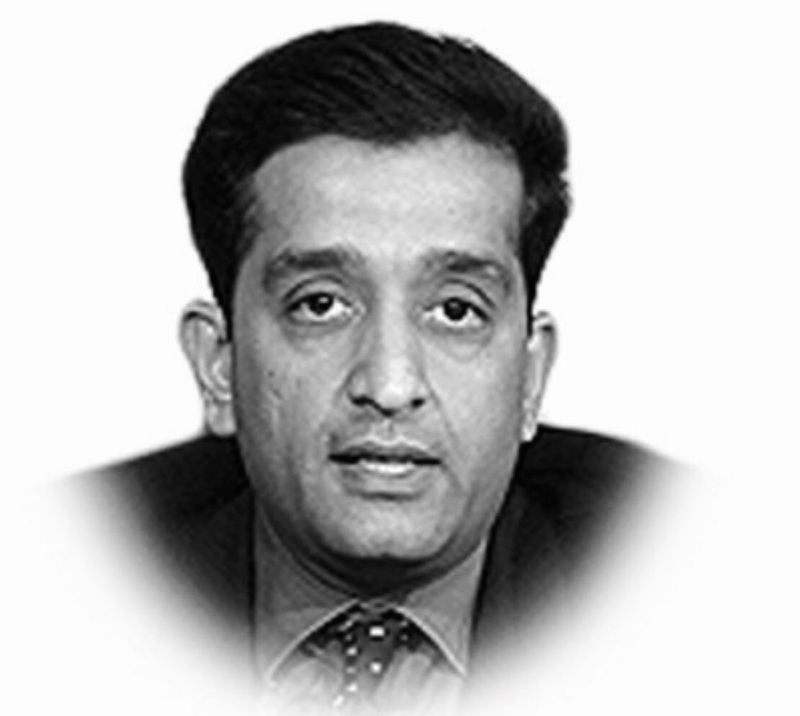 Pakistan’s extreme vulnerability to climate change is not a scientific secret but is, in fact, a logical certainty owing to its geographic location, inclined elevation, as well as demographics. The issue directly impacts upon the country’s already volatile water dynamics driven by the northern glaciers and the seasonal monsoon rains and, if not managed properly, could burden our economy to the tune of $6-14 billion per year (United Nations Framework Convention on Climate Change NEEDS study 2010). In response to this challenge, Pakistan’s National Climate Change Policy has laid out a comprehensive ‘to do’ list for the government, which was approved by the government but, unfortunately, has not been acted upon by the authorities. Oblivious to this apathy and inaction, Pakistan continues to face a mammoth challenge to not only climate-proof its future development path, but also take steps to cope with an issue, which is here to stay. These steps include establishing early warning systems, effective flood plain management, improving weather forecasting with cross-border data exchange and enhancing the disaster preparedness, as well as emergency response capabilities to deal with predicted climate-induced natural disasters. To their credit, previous governments did begin to take concrete institutional building measures, such as establishing a very high-level Prime Minister’s Cabinet Committee on Climate Change, setting up a dedicated Ministry of Climate Change built on the debris of a misguidedly devolved Environment Ministry and creating a focused climate research centre i.e., the Global Change Impact Studies Centre. However, in one stroke of convenient denial, the present government has undone and dismantled all those measures by downgrading the ministry to a division level, drastically cutting the funds for the division, leaving it headless without an appointed minister and also drying up all finances for the climate research centre. It is, thus, not surprising, that the country received a rude wake-up call when, during the recent floods, the forces of nature once again caught it totally off guard and institutionally ill-prepared to deal with a situation, which had been predicted and forewarned time and again by climate experts. The 2014 flood came in two surges. The first surge occurred due to exceptionally high rainfall in the rivers Jhelum, Chenab, Ravi and their catchments. It is a recorded fact that the Pakistan meteorological office gave clear warnings about this enhanced rainfall activity, which were not heeded to in a timely manner. The result of this negligence was that the Mangla Dam remained filled to the brim, while storm waters gathered upstream and, subsequently, the floodgates were forced open at the worst possible time when water levels were already dangerously peaking downstream. Had the water been incrementally released, as advised, the massive flood surge that eventually occurred could have been effectively prevented. Dams remain a double-edged sword — if used intelligently, they can be the best tool for controlling and regulating floods, but if used improperly, as they were on this occasion, they can quickly convert floods into mega human disasters. This first human-induced deluge was followed by the second flood surge that occurred due to the unpredictably high ‘cloud-burst’ in Indian-held Kashmir. The information about this second surge was also received hours in advance as the water roared down River Chenab. Again, our own meteorological office issued a timely flood peak warning, but again, the reaction time and response measures of our government were found severely lacking. The floods were triggered by climate-induced cloud-bursts and monsoonal shifts, but the human tragedy and destruction got multiplied due to poor government planning, human negligence and a criminal mixture of absence and apathy of relevant institutional response mechanisms. Climate related calamities, including more flooding and an enhanced frequency of freak natural events are, unequivocally, predicted for Pakistan and it is time to take these warnings seriously, and for the government to heed to them by planning to deal with the consequences, limiting the damage and adapting to this shifting scenario. The recent floods, which are surely not the last one, have also rudely exposed the human, economic and environmental costs to be paid for our politically motivated aversion to building large dams, as well as the suicidal trend of encroaching upon flood plains and continuing to challenge the flood water boundaries. Pakistan lies at the geographic crossroads of melting glaciers, shifting monsoons and enhanced disaster activity. This locational risk cannot be changed, but how we deal with this looming catastrophe can certainly be changed. What it requires is better responsive measures and heeding to technical advice and scientifically based warnings with timely decisions. Published in The Express Tribune, October 19th, 2014.
Who Will Answer Our Children? The Next Generation Asks World Leaders at UN Climate Summit 2014: Why Not Act on Climate Change? Out here in the middle of the Pacific Ocean, climate change has arrived. In the last year alone, my country has suffered through unprecedented droughts in the north, and the biggest ever king tides in the south; and we have watched the most devastating typhoons in history leave a trail of death and destruction across the region. Lying just two meters above sea level, my atoll nation stands at the frontline in the battle against climate change. The beaches of Buoj where I use to fish as a boy are already under water, and the fresh water we need to grow our food gets saltier every day. As scientists had predicted, some of our islands have already completely disappeared, gone forever under the ever-rising waves. For the Marshall Islands and our friends in the Pacific, this is already a full-blown climate emergency. Some tell us that we should begin planning to leave. But how can we? And why should we? These islands are our home. They hold our history, our heritage and our hopes for the future. Are the world's polluters asking us to give up our language, our culture, and our national identity? We are not prepared to do that – we will stay and fight. If the water comes, it comes. Brick by brick, I built the seawall behind me with my own hands. But even this is barely enough to protect my family from the encroaching waves. Last year, after returning from a visit to the United Nations in New York, I was so shocked by the damage from the rising tides that I added another foot of bricks to the wall. In the Marshall Islands we have a saying – “Wa kuk wa jimer”. It means that we are all in the same boat together. What is happening here is a mere preview of the havoc that awaits if we continue with our polluting ways. If my country goes, others will surely follow. We are the canary in the coalmine. The climate crisis is forcing us to take matters into our own hands, both at home and on the international stage. Last year the Marshall Islands hosted the largest-ever Pacific Islands Forum Leaders' meeting in Majuro and it remains one of the proudest moments of my Presidency. The big outcome was the Majuro Declaration for Climate Leadership, a powerful message from the world's most vulnerable countries to the big emitters that surround us that the time for talk is over, and the time for action is now. Our efforts had an impact with the United States, the European Union, the United Kingdom, Mexico and Japan all committing to be climate leaders, and to do more to tackle climate change. At this time last year, I presented the Declaration to UN Secretary-General Ban Ki-moon, and promised to bring the spirit of Majuro to his Climate Change Leaders' Summit in New York, which is now less than a week away. The Summit comes not a moment too soon. It is the first gathering of world leaders on climate change in nearly five years, and just over a year before our deadline to sign a new global treaty on climate change in Paris at the end of 2015. Paris cannot be another Copenhagen. The world has changed too much. The science is more alarming, the impacts more severe, the economics more compelling, and the politics more potent. Even the world's two biggest polluters – China and the United States – are working together to find a pathway to a new global agreement. But there are still some that seek to slow us down. To my fellow world leaders I say “next week's Summit is a chance for all of us to be the leaders we were elected to be”. We must send a strong and united message to the world – and to the people that we represent – that we are ready to do a deal next year. And to avoid the worst impacts of a warmer world, this new deal must capture a vision for a carbon-free world by the middle of the century. Without it, no seawall will be high enough to save my country. Together, we must find the courage to rise to this challenge. It is time to build the greatest climate change alliance the world has ever seen. My people are counting on it, as is all of humanity.